Come out an join us as we celebrate the ONE YEAR Anniversary of our Fun Run Series on Saturday March 12, 2016! 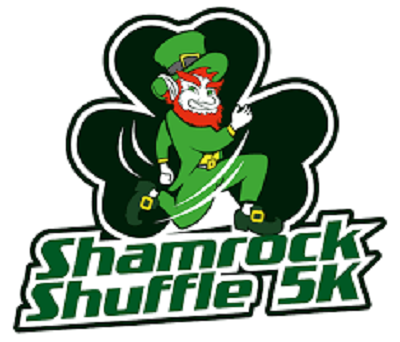 We will be having the Shamrock Shuffle 5K in celebration of St. Paddy’s Day,so come out in your best GREEN running GEAR with your family, friends or loved ones (even the furry kind as animals are allowed on the trail), for a safe 5k (3.1 mile) run on the St Michaels Nature Trail with a short jaunt through the Marea Terrace development. This month, we are asking for donations the annual Easter dinner hosted by the St. Michaels Community Center where they give out bags of non-perishable items to those in need in our community. They are in need of items such as: canned hams, tuna, soups, beef stew, beef-a-roni, Mac and cheese, peanut butter and jelly, toothpaste, toothbrushes, soap, deodorant, toilet paper, etc. That’s it!! No money! No entry fee! Just a kind donation to our local community members in need. As always, this is a guesstimated time event so make sure to challenge yourself with a guess on your finish time. You don’t have to be the first person across the line to finish, just be within 10 seconds of your estimated time and YOU WIN!! We will have on site registration and packet pickup starting at 7:30am on Saturday, March 12th and we ask that all runners be on site by 8:30am. Runners should park at the St Michaels Elementary School (200 Seymour Avenue) and walk down to the shop (929 S. Talbot Street) for our start. Be sure and bring a couple of dollars in the morning, as the Bay Hundred Tides Softball team will be here with a bake sale to raise funds for their travel team. Sounds like the perfect pre-race fuel if you ask us!! After the race, Eastern Shore Brewing will be opening at 10am just for participants! $1 off drafts to everyone sporting their St. Paddy’s Day garb! You can register TODAY by checking out https://www.webscorer.com/register?raceid=62850 and you can refer your friends to our website at www.tricycleandrun.com for them to register too. We look forward to seeing all of our friends out on course on Saturday, March 12th. Show your holiday spirit and dress in your GREEN running clothes. Who knows… we may even have a leprechaun show up as well!